No Vive 2 on the horizon. You can rest easy if you recently purchased an HTC Vive headset, it is not about to become yesterday's news. HTC confirmed with UploadVR that rumors suggesting it is planning to launch a second generation Vive headset at the Consumer Electronics Show (CES) in Las Vegas next week are false. Rumors of a Vive 2 headset have been circulating for the past couple of days. Citing a Chinese News Agency report, Digitimes said HTC was planning to trot out a second generation Vive with a wireless transmitter at CES. It was also reported that the new headset would sport two 4K displays with a 120Hz refresh rate, up from 90Hz on the current model. The impending launch was even blamed for a recent price reduction on the original Vive in China. None of it is true. "There is no truth to the rumor of launching Vive 2 at CES 2017," HTC said in no uncertain terms. "At Vive, we are laser focused on building out a strong and growing ecosystem for current and future Vive owners so they can experience the best room-scale VR with the most compelling content available." This will come as good news to Vive owners who recently purchased a headset, including those who took advantage of a recent sale. HTC knocked $100 off the cost of the headset on Black Friday and Cyber Monday at every authorized retailer. On top of that, Microsoft sweetened the pot by tossing in a $100 gift code for future purchases from the Microsoft Store. 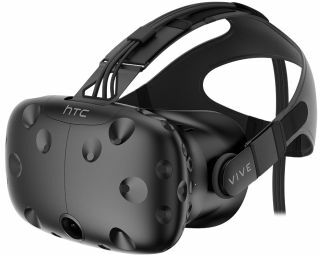 Those discounts helped take the sting out of being an early adopter, though it still would have felt like a gut punch if HTC released a Vive 2 just a month later. As to cutting the cord, a wireless upgrade kit may be just around the corner. A company called TPCast is working internally at HTC as part of its Vive X Accelerator program and it recently showed off a preview version of the wireless upgrade kit. Supposedly there is no "noticeably difference" from using it due to lag versus being tethered to a PC. It also features a battery that's good for up to 1.5 hours of gameplay. However, it is expected to cost around $200 when it ships in the first quarter of next year.